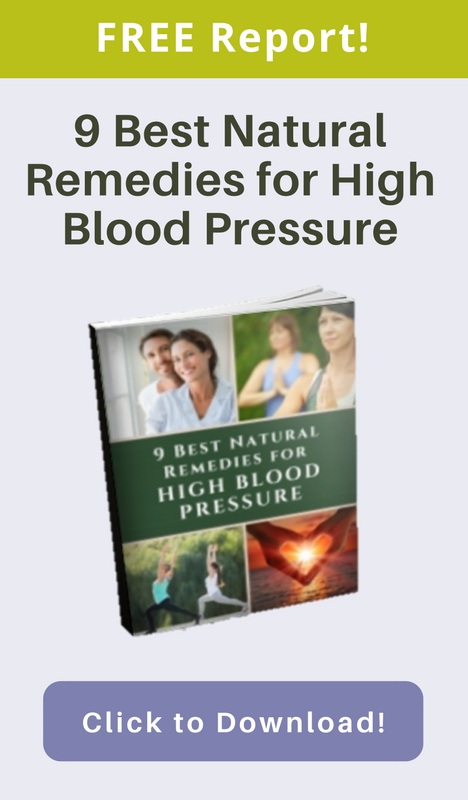 Ultimately, the best way to lower high blood pressure naturally involves creating greater balance in mind and body. Herbal remedies which lower stress and enhance the metabolic health of both are often effective natural therapies for high blood pressure, as is yoga therapy specifically targeted towards calming mind and body and reducing blood pressure naturally. Ayurveda, the ancient India system of holistic health care, views “dis-ease” as a lack of wholeness, which causes a breakdown in the flow of the body’s innate, self-maintaining and self-healing intelligence. Ayurvedic herbal combinations work by enhancing the flow of nature’s intelligence in mind and body. Lowering high blood pressure naturally involves reducing major risk factors such as atherosclerosis, stress, obesity, inflammation, and stress hormones. The more risk factors you have, generally speaking, the longer it may take to restore balance and lower your blood pressure. However, the good news is that while you’re working to reduce blood pressure naturally, you will also be creating greater balance in your physiology and restore wholeness to both mind and body. Here are three Ayurvedic herbal remedies that are useful not just for lowering blood pressure naturally, but also for reducing stress, enhancing digestive and metabolic health, inhibit inflammation-which helps prevent atherosclerosis, and even improve neurodegenerative diseases such as alzheimers. Ashwagandha is an adaptogenic herb, and it is one of the most popular Ayurvedic herbs not just for lowering blood pressure, but also for reducing inflammation and stress. Adaptogenic herbs strengthen mind and body and increase the ability to handle physical and psychological stress. While most herbs have specific therapeutic actions, adaptogens have a non-specific, broad action. They increase vitality and resistance, and have a strengthening and normalizing effect on the system, particularly by helping you cope better with stress. Stress is one of the main culprits of high blood pressure; overproduction of stress hormones such as cortisol, can lead to high blood pressure, and also to weight gain, fatigue, depression and anxiety. Ashwagandha helps to balance mind and body, create greater inner calmness and increase your ability to cope with stress. This in turn decreases the level of stress hormones circulating in your body and lower blood pressure. Triphala has been used for centuries in India to rejuvenate the body, and it is considered to be one of the most important Ayurvedic formulas. Triphala consists of three herbs, which together form a powerful combination that works in a gentle, but profound way. The three herbs are amla (Emblica officinalis), haritaki (Terminalia chebula), and bibhitaki (Terminalia bellica). Triphala decreases hypertension, helps normalize blood circulation, reduces cholesterol and works towards lessening atherosclerosis in arteries. It has anti-inflammatory properties, anti-obesity effects, and helps in reducing edema. It helps lower high blood pressure through various mechanisms. By lowering edema and inflammation there is less pressure against blood vessel walls. Inflammation leads to atherosclerosis (cardiovascular disease is now known as an inflammatory disease), which narrows blood vessels. By lowering inflammation there is less resistance against vessel walls, which lowers blood pressure. This lessening of resistance in turn decreases the work load of your heart. Jatamansi is beneficial in hypertension, because it helps protect the arteries from free radical damage. Arterial damage must be repaired, and, as cholesterol repairs the damage, the vessel diameter narrows and the inner diameter decreases, thus creating higher blood pressure. By counteracting the arterial damage, jatamansi helps prevent atherosclerosis before it begins. This herb also has a deeply calming effect on mind and body and is good for psychological stress. Any reduction of stress hormone production will have a protective effect on blood vessels since these hormones damage artery walls. Arjuna. Arjuna is another powerful herb for lowering high blood pressure. This herb accelerates the turnover of LDL, or low density lipoprotein cholesterol, in the liver, so the so-called bad cholesterol is not oxidized in your blood vessels to form atherosclotic plaque. Arjuna reduces the effects of stress and nervousness on the heart; by reducing stress hormone production it helps protect the inner lining of the blood vessels from damage from stress hormones. Arjuna also lowers beta-lipoprotein lipids and elevates High Density Lipoprotein, the good kind of cholesterol. We like the Maharishi Ayurvedia BP Balance. Like many Ayurvedic formulas, it combines herbs to create a synergistic effect. When herbs are combined together in the right proportions, a synergy is created, in which the effectiveness of individual herbs is increased a great deal. In this way, the right combinations of herbs can have a significantly increased potency over individual herbs and produce a more powerful effect than when you take a single herb. Two of the main herbs in the formula are Jatamansi and Arjuna; in addition the formula contains a blend of several other Ayurvedic herbs, including Boerhavia, Hemidesmus Indicus, Chebulic Myrobalan, Indian Frankincense, Picrorhiza, Garden Cress, Mineral Pitch, Prickly Chaff Flower, Celastrus, Bael Tree. The combination of the two powerful natural modalities of Ayurvedic herbs and yoga therapy enables you to lower your blood pressure naturally and without side effects, simply by enlivening your mind-body intelligence to self-correct. Michael A. Scheinbaum, M.S., C.N.A., is a Natural Health Practitioner and author of Reduce Blood Pressure Naturally (XLibris, 2005). He is a certified practitioner of Axiatonal Process, MariEl, CranioSacral Therapy, Touch for Health, and is a Tera-Mai™ Reiki Master. He also utilizes nutrition, diet, electro-acupuncture, acupressure, Bach Flower Remedies, gem elixirs, and other natural systems to enliven the clients’ inner healing power to create balance from a deep level of mind, body, and spirit.